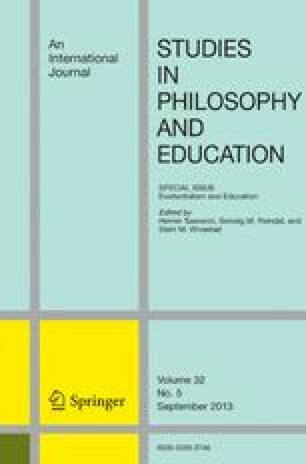 While it is impossible to transfigurephilosophical and Judaic thought of EmmanuelLevinas into a moral agenda for education orthe programmatic regularities of a pedagogicalmethodology, this paper argues for theimportance of his work for re-openingeducational questions. These questions engagethe problem of what it could mean to livehistorically, to live within an uprightattentiveness to traces of those who haveinhabited times and places other than one'sown. In this sense, I address the problem ofremembrance as a question of and for history,as a force of inhabitation, as an inheritance weare obligated to live within, that intertwineswith our sense of limits and possibilities,hopes and fears, identities and distinctions.Substantively, this problem is manifest in howone attends to the experiences of others: howone reads, how one views, and how one listens,always historically specific normalizedpractices that in any given epoch are ingrainedin what it means to live in consort withothers, to live as though the lives of otherpeople mattered. The paper seeks to display thefecundity of the thought of Levinas forre-thinking such issues.